It’s well known that music encourages a mood, can support a sense of well being, and associates with place. It’s worth comparing the health benefits claimed of music with those claimed of natural environments. Are the two related? People use personal stereos (smartphones with headphones) to adjust their responses to environments. According to music sociologist Tia DeNora, “personal listening is also, by definition, a highly individualised solution to the problem of wellbeing” (p.67). In her excellent book Music Asylums, DeNora draws on those who advocate an “ecological perspective” on health and well being. Once we broaden health and illness to an understanding of “the interconnections between belief, social practice and physical embodied phenomena” (p.22) then its easy to accept that a cultural intervention such as a piece of music has an influence on well being. She writes about the placebo effect as evidence of this complex of interrelations. I’m not sure she goes this far, but if you believe a piece of music is good for you then it may have just that effect, under the right conditions, much as a walk in the park is healthy, if we believe it. I examined the placebo effect in an earlier post. This positioning of music within a wider sphere of experience reminds me of the claims made by those who feel that the division between nature and culture is outdated. We are now in a “post-natural” world where such distinctions are irrelevant. The natural world includes us, and is made up not of independent objects as if encyclopedia entries, but sets of interdependent relationships: the bird on the branch in the breeze, with the insects, the sun and the rain. To apprehend such relationships is to form a strong bond with the natural world. In any case, some scholars think that the mechanisms by which music affects our emotions (and our well being) derive from human responses to the natural environment (as I explored in another post), as if musical sounds are derived from calming and alarming sounds in our environment that signal safety or hazard. People also use media that draw on and reinforce the character of the natural world. Meditation, relaxation and sleep aids invoke nature scenes to relieve stress and induce relaxation: feeling the warm sand beneath your feet on a deserted beach, approaching a clearing in a forest and smelling damp pine needles, entering an exotic garden with birds and flowers, listening to a babbling brook, etc. In recordings designed to induce a meditative state these are accompanied typically by music. So music and environment are related in many ways, and the relationship between the salutogenic benefits claimed of each may help to inform the other. The “recipe” by Jenny, Peter, Panos and me is about relieving attention fatigue by stepping outdoors and enjoying nature. The recipe that follows ours is by Judy Robertson who examines research into the use of music while you work. She says that “once you enter the flow state it doesn’t matter what you’re listening to, as you won’t be aware of it. Have you ever returned from a period of intense concentration to discover that your playlist of favourite songs ended hours earlier without you hearing any of them?” But you can read the rest for free online. Also see blog posts on the placebo effect, music, de-stressing, doing research and the brain. 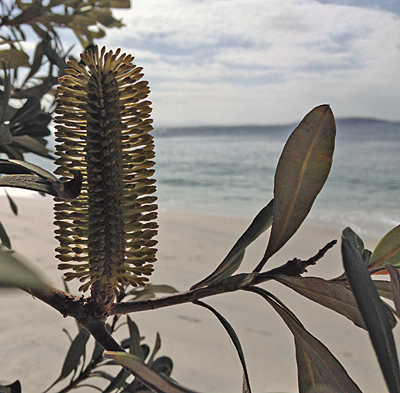 On the subject of meditation and the sounds of nature listen to Autumn Equinox by Lynn Emberg Purse and The Four Elements on Spotify [note added 15 April 2014]. Anderson, Jon. 2009. Transient convergence and relational sensibility: Beyond the modern constitution of nature. Emotion, Space and Society, (2)120-127. Braun, Bruce. 2004. Nature and culture: on the career of a false problem. In J. Duncan, N. Johnson, and R. Schein (eds. ), A Companion to Cultural Geography: 151–179. Malden: Blackwell. Coyne, Richard, Jenny Roe, Peter Aspinall, and Panos Mavros. 2014. Relieving attention fatigue: Recharge your mental batteries productively. In A. Williams, D. Jones, and J. Robertson (eds. 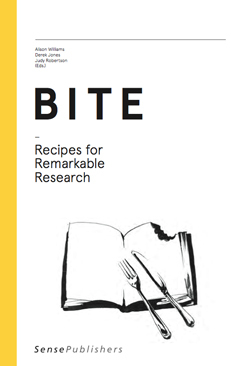 ), Bite: Recipes for Remarkable Research: 62-65. Rotterdam: Sense Publishers. Deleuze, Gilles, and Felix Guattari. 1988. 1837: Of the refrain. A Thousand Plateaus: Capitalism and Schizophrenia: 310-350. London: Athlone Press. Robertson, Judy. 2014. What to listen to while you work: What you hear affects what you think. In A. Williams, D. Jones, and J. Robertson (eds. ), Bite: Recipes for Remarkable Research: 66-69. Rotterdam: Sense Publishers. Thank you for the link, Richard. Fascinating post! One of my favorite books on the subject of the sound of the natural world as a gestalt is “The Great Animal Orchestra” by Bernie Krause. He is a pioneer in looking at sound in nature from a holistic organic perspective rather than a collection of unrelated sound events and was one of the first bio-acousticians to record the environment in its entirety instead of trying to isolate individual sounds, especially bird songs. “Music Asylums” is now on my “to read” list. I’ve just skimmed it on Google Books. Thanks for the tip Lynn.